It probably wasn’t what she asked Santa for, but a woman in Australia got an early Christmas surprise in her tree this year. 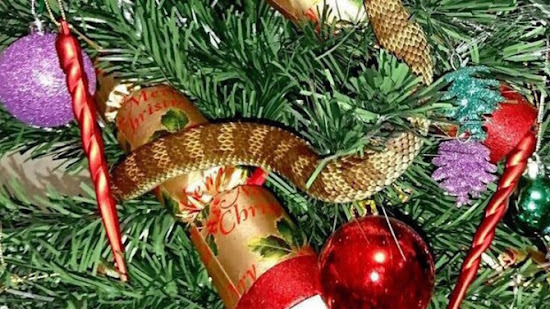 From a distance, this highly venomous snake resting in a Christmas tree in Australia could easily be mistaken for tinsel. Victoria Snake Catchers posted a picture of the festive find on their Facebook page. 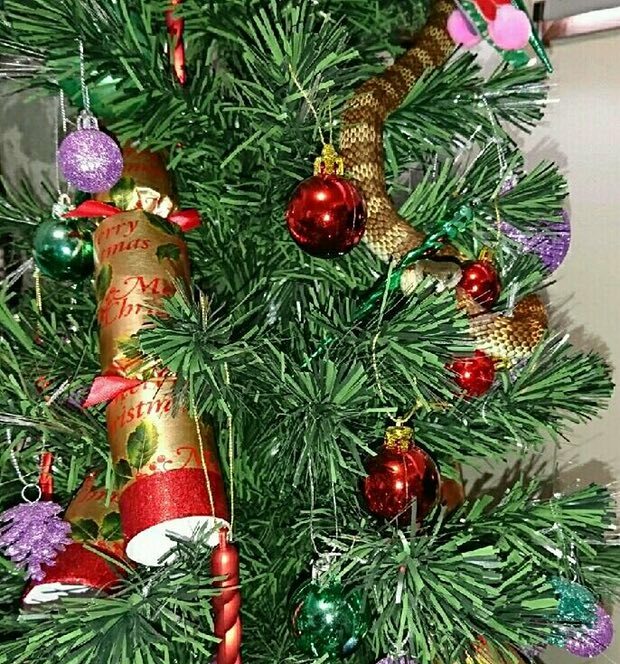 The snake was well-concealed, as it was the colour of the Christmas crackers adorning the tree. Barry Goldsmith, a snake catcher, told Mashable: "They're probably in the top 10 most toxic animals on the planet. But they're not dangerous unless you poke them with a stick or grab them by the tail, or try to kill them". A woman has discovered a 1m-long venomous snake wrapped around her Christmas tree in Australia. "She didn't panic, she just took a photo and sent it to the snake catcher, me, and 20 minutes later I had the little b***** in a bag." Mr Goldsmith said it was the first time he had found a snake in a Christmas tree, but told the BBC: "I've found them in ugg boots, washing machines, dog kennels, cat boxes, toilets, kitchen cupboards and bookcases". He said the woman "reacted quite well" to finding the snake, putting a towel under the door as a barrier and calling the snake catcher service. It's illegal to kill these poisonous snakes, as they are a protected species. However, Mr Goldsmith has said people have put themselves in danger before by taking matters into their own hands. "I'm all about stopping people from trying to hurt themselves," he told Mashable. "Usually people cut the head off the snake, and don't realise it that its head is actually still alive for about 15 minutes ... lots of people get bitten while trying to pick up the severed head of the snake."